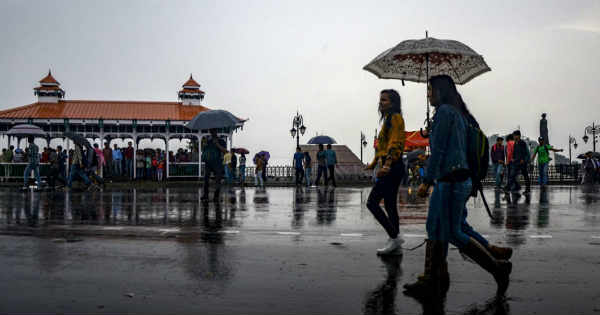 In the past 24 hours, most parts of Rajasthan have been witnessing on and off light rains with winds gusting to 30-40 kmph, whereas isolated moderate spells were a sight as well. These rains would continue for the coming 24-48 hours. The reason for the same is a fresh Western Disturbance lying over North Pakistan and adjoining Afghanistan as an upper air system. Its induced Cyclonic Circulation has formed over southwest Rajasthan and adjoining Pakistan. Places like Jodhpur, Jaisalmer, Barmer, Ajmer, Sikar, Churu, Sri Ganganagar have been witnessing light rain and thundershower activities. With these rains, the minimums have increased significantly by 3°C-5°C and the maximums are likely to fall by 5°C-7°C. Hailstorm accompanied with squally winds over few pockets is a possibility as well. As per weathermen, low temperature will prevail over the area due to thickness of clouds and widespread precipitation over the region. The present weather conditions would continue for the coming 48 hours. Thunder squall and lightning strikes are also expected mainly over the northwestern parts of the state. The weather would start improving March 4 afternoon onward. The system is likely to move north/northeastward from tomorrow evening, i.e., March 3 onward and weather over extreme western parts of the state would clear up. Once the system shifts eastward, places like Jaipur, Kota, Sawai Madhopur and Bharatpur would start witnessing rains.